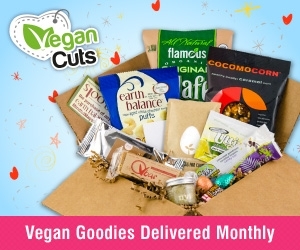 I’ve been learning about new vegan companies and products through Vegan Cuts since September 2013! In January they reached out and asked if they could send me a snack box to review. I gladly and gratefully accepted. This offer made Jeremy happy too, as that meant he received more of the sampling. Let’s start with my favorite of the box. Wai Lana’s Cassava Pops, sea salt flavor. 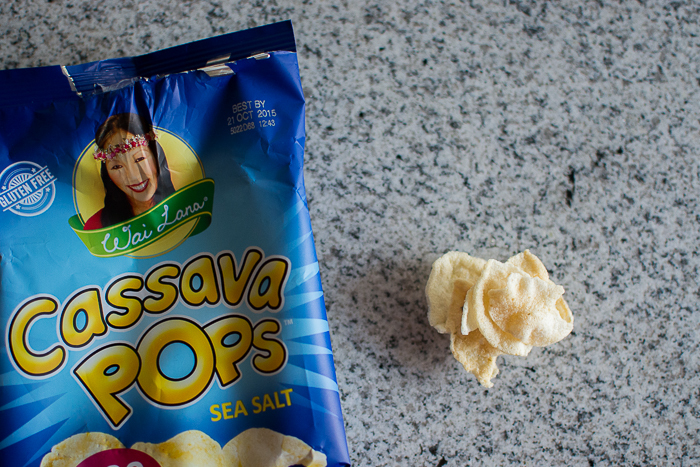 Think a little bit thinner POP chips made out of cassava root and lightly flavored with sea salt. Shown above is a pitiful little stack. My apologies. The rest were nestled in my stomach or traveling down through the esophagus. I couldn’t control myself even for the sake of photos. 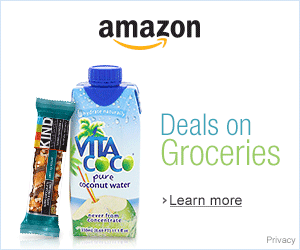 They are gluten-free, 70% less fat than potato chips, and they’re on Amazon. 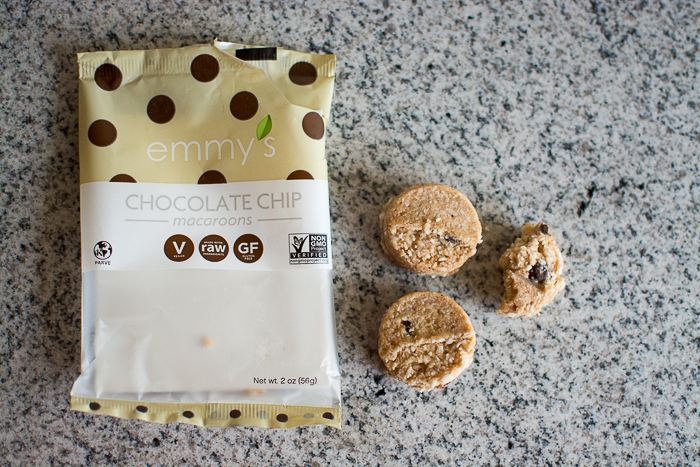 Emmy’s macaroons were new to me too. They are vegan, raw, and gluten-free. I received chocolate chip with this box and dark cacao with my regular subscription. I feel like I’ve had plenty of raw macaroons in the last few years (Hail Merry and Laughing Giraffe off the top of my head) so I was curious how these would or could differ. I was surprised to find I liked them better than the others and the cute packaging doesn’t hurt either. They are probably silver dollar sized, but a half of an inch thick. 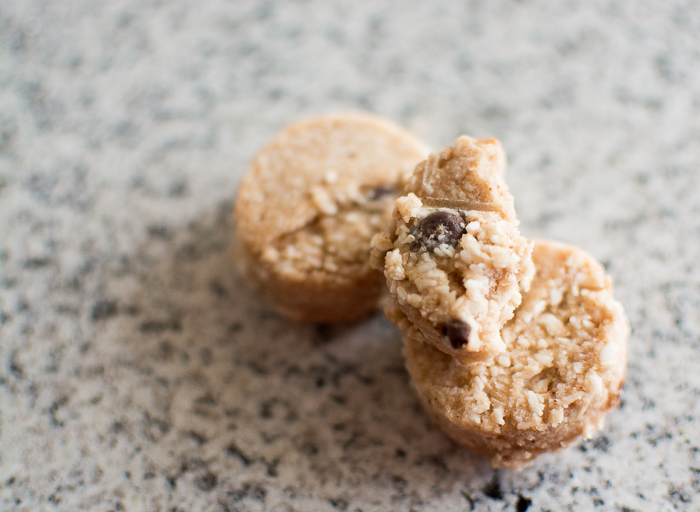 The have a soft cookie-like texture with a brilliant flavor and mouth feel to win my love. Find them in bulk on Amazon. 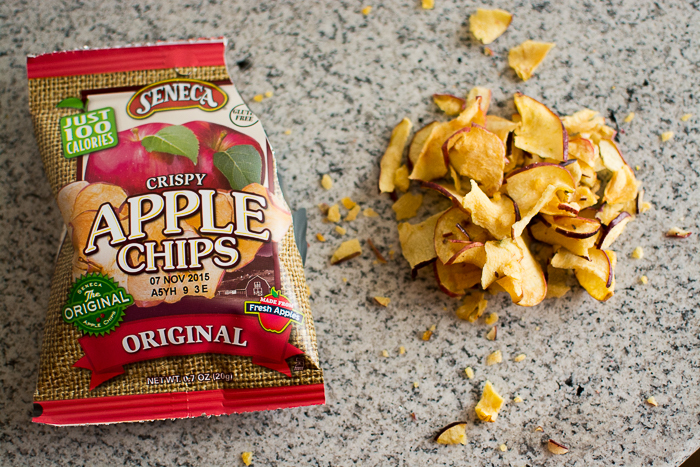 Seneca crispy apple chips are up next. These are apple CHIPS and they are amazing! They are not freeze-dried or soft and chewy like dehydrated apples. 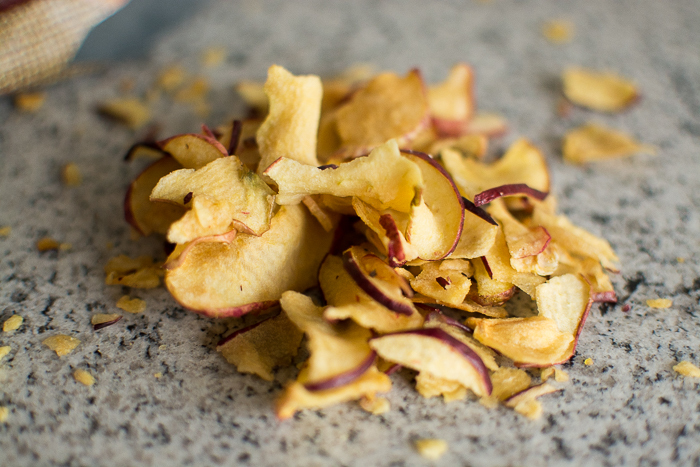 They are apple slices turned into chips. They are crispy as the packaging states and not stab your gums crispy – just right. Oh, also they taste like apples. I mean it seems obvious, but still. 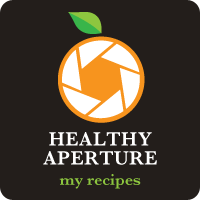 Perusing their site, I found that they had a recipe for apple bread (needs to be veganized) that used some of these chips as a streusel! Sounds great to me. 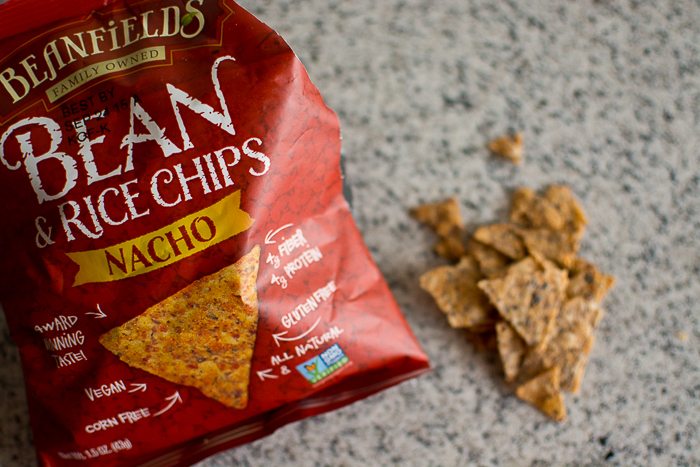 Beanfield’s Bean and Rice chips—nacho style. Delicious! Another consumed heartily before I could drag out the camera. 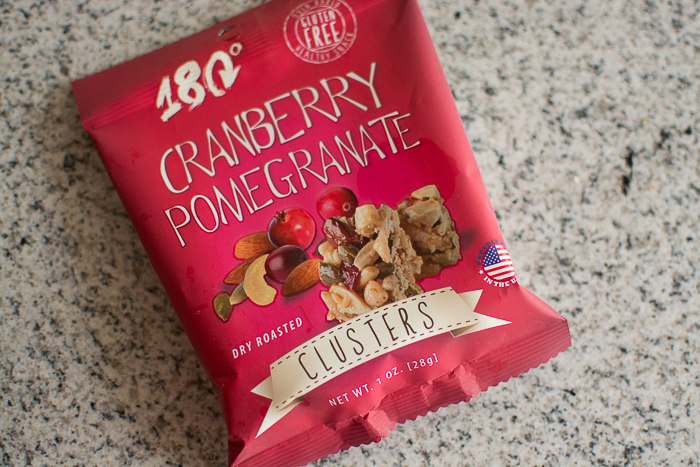 180º Cranberry Pomegranate Clusters were new to us although we’ve had a similar product from nuts.com and Geneva’s Nuts About Nuts when they were open. Imagine a Nature Valley bar with more nuts cut into cubes. 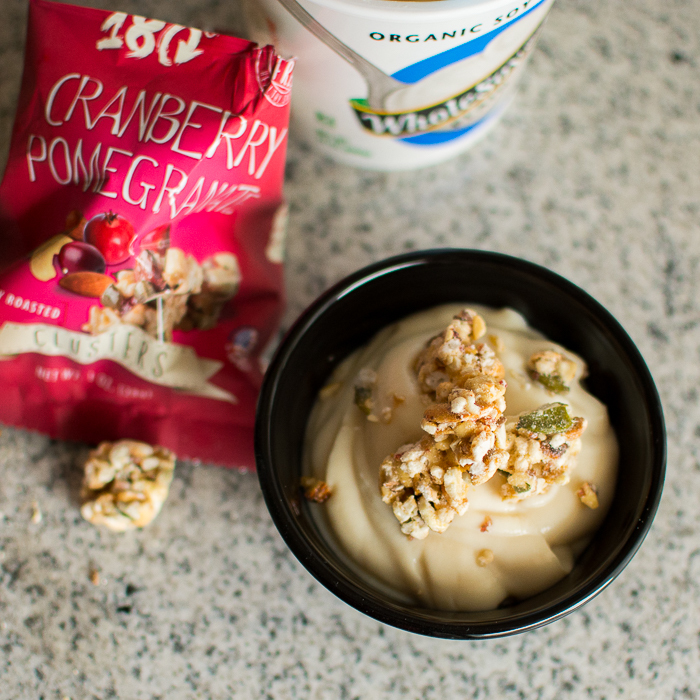 They are delicious on top of your favorite vegan yogurt or as is. 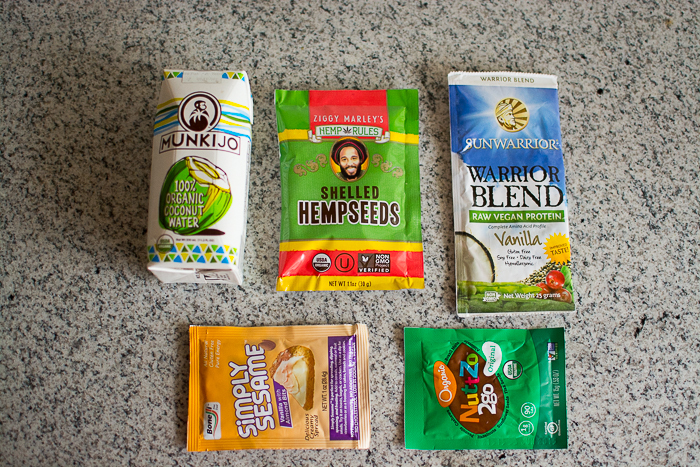 Last but not least we have: Munkijo 100% organic coconut water, Ziggy Marley’s shelled hemp seeds, Sunwarrior vanilla protein powder, Simply Sesame ‘tahini’ spread, and Nuttzo. The coconut water is great! It’s organic, single pure ingredient, and full of potassium and minerals. Shelled hemp seeds are one of my favorite things to sprinkle on salads, yogurt, and even smoothies. I’m happy to try a brand other than Nutiva and Manitoba Harvest. Sunwarrior protein powder? I’ve bought this before and it’s good. Definitely a protein powder to try if looking to add or diversify your vegan protein powders. Sesame seed butter or tahini, it goes by both names. This little pack had almond bits! 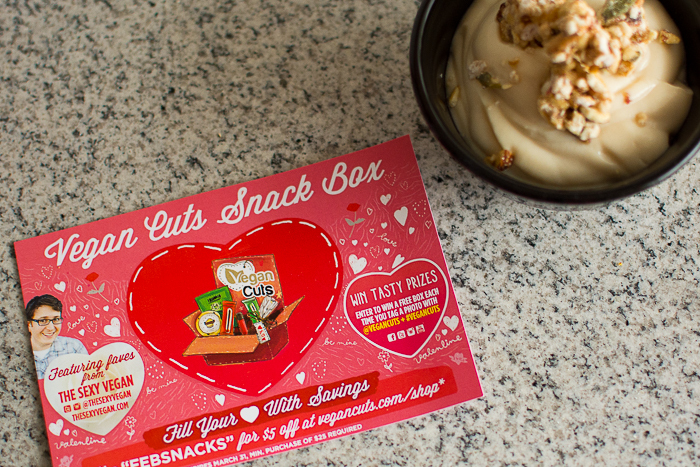 The little sample packets are perfect for taking to work or on a hike. 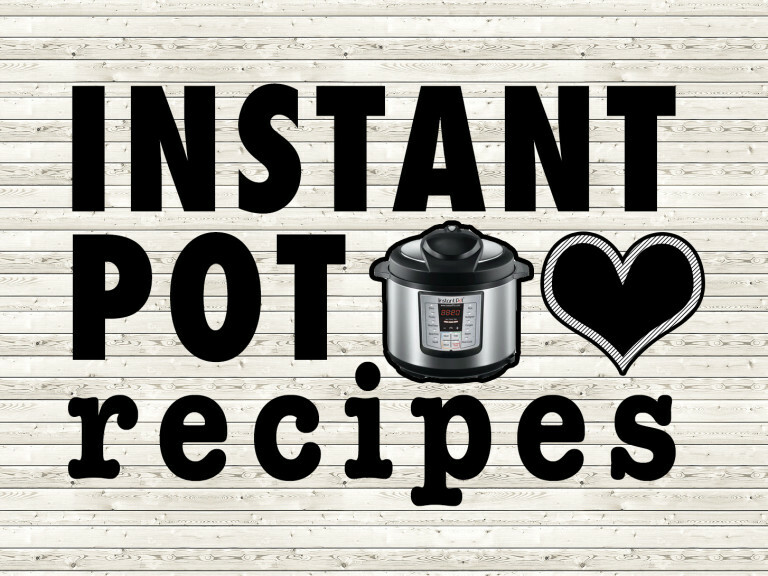 Mix in with rice, spread on toast, or use it for fruit and vegetable dipping. Nuttzo. I’m sorry, but I haven’t tried you yet. I love though, that when I see their jars at the co-op they are marketed to be stored upside down. Kinda cute. Have you tried any of these? Do you have a favorite? Which one do you want to try the most? 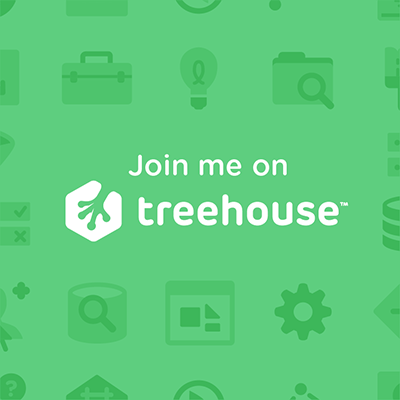 Don’t forget to use the coupon code, it is good until the end of March. This snack box was provided to me free of charge for reviewing purposes. 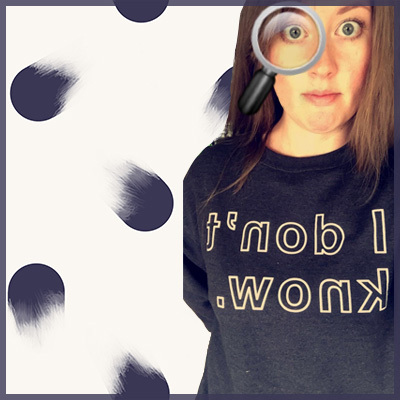 All opinions are my own and honest of my experience with the product.